Even though dual flush toilets have not been on the market for so long, but they have started gaining popularity because of their water efficiency. Dual flush toilets are unique because they offer flushing options for both liquid and solid wastes. As a result, little water is wasted and the user also gets to save on their water bill. Depending on your choice, you can select one-piece or two-piece dual flush toilet. But, how to find the best dual flush toilet that works great? For dual flush toilets to serve their purpose, you need to get the best dual flush toilet so that you don’t end up wasting even more water. This is because there are some lower quality dual flush toilet models that might force you to flush more than 2 or 3 times. Besides it being annoying, flushing more than once negates the purpose of dual flush toilets which is mainly to save water. But with this dual flush toilet reviews, you don’t have to go searching for a quality, durable, reliable, and efficient dual flush toilet. We conducted thorough research and read hundreds of reviews before coming up with this list. Therefore, read one-by-one and choose a dual flush toilet that meets your needs and budget. Toto is among the best-rated toilet brands and many people love their products. The TOTO Aquia IV washlet dual flush toilet is beautifully designed to match any modern bathroom. Toto Aquia has a skirted design that not only makes the toilet to look sleek but also makes cleaning to be easy. The elongated bowl design offers comfort, unlike the round bowls which are somehow smaller. Featuring the Dynamax tornado flushing system, the toilet cleans the bowl perfectly by using 360 degrees cleaning power to reach every section of the toilet bowl. With the dual buttons, you have the option of utilizing the 0.8 GPF for a partial flush and 1.28 GPF for a full flush. Apart from that, the toilet has CEFIONTECT glaze which keeps it cleaner for longer by preventing a buildup of debris and other particles. So, if you’re looking for a sleek and high-performing dual flush toilet, then this unit will be a great choice for you. The flushing buttons are somehow not very effective as it needs to be held down for some seconds in order to flush. The toilet height is below standard height as it measures 15.6-inches which is quite challenging for disabled people and taller people. For those looking for a luxurious and elegant toilet to add in their bathroom, the WoodBridge one-piece toilet is a great option. This toilet is robustly constructed from vitreous china material for durability. It has a square design, which is unique with an elongated bowl. This means that it is comfortable as it has extra sitting space. In addition, it comes with a soft closing seat which eliminates slamming of the toilet seat. If you want a cheap but best dual flush toilet, then buy this. 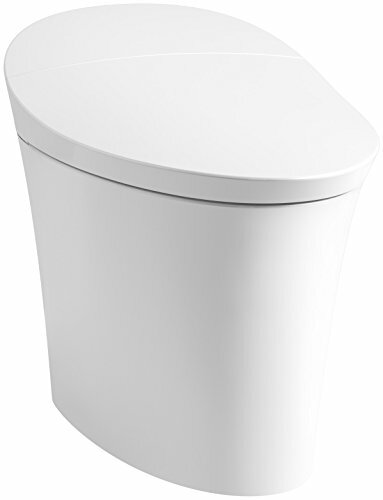 WoodBridge T-0020 elongated bowl toilet has a siphon flushing design that provides a super quiet flush but yet very powerful. As a result, you won’t see any sticky substances on the toilet bowl or experience clogs. Since it has a dual flush system, you will end up saving water by using 1.0 GPF for liquid wastes and 1.6 GPF for solid wastes. The comfortable height makes sitting or standing up to be easier for most adults or even disabled people. This is a nice toilet for homeowners searching for a luxurious and affordable dual flush toilet. Kohler is a notable brand known or its comfortable and stylish toilets. Therefore, the Kohler K-3987 Wellworth two-piece toilet shouldn’t come as a surprise on our list. This toilet is part of the Kohler Wellworth collection and its elegant design can match with any bathroom where it is installed. Featuring a round bowl design, this toilet is better suited for powder rooms or small bathrooms. It is easy to install as it is a two-piece design. The Kohler Wellworth with round bowl design has the dual flush buttons on the right-hand side and not on the top like most dual flush toilets. In addition, it features the class five flushing technology which clears contents on the bowl exceptionally and in just a single flush. When flushing, the toilet offers you a choice of either using the 1.1 GPF or 1.6GPF. This allows you to save more than 30% of water per flush, thus lowering your water bill. If you need most powerful best dual flush toilet, then buy this Kohler Wellworth. If you’re tight on the budget but still want a high-quality and high-performing dual flush toilet, the Kohler Wellworth toilet is a great option for you. On top of that, it comes with a one-year limited warranty. American Standard is another sought-after toilet brand on the market. They produce high-quality and water efficient toilets but unlike their rivals, their toilets are quite cheaper. 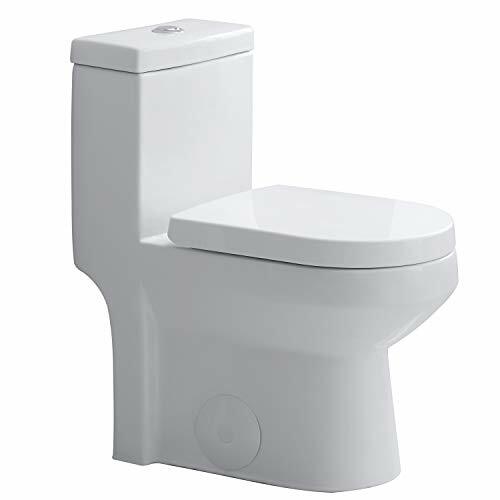 The American Standard H2Option dual flush toilet is a durably constructed toilet as it is made of vitreous china material. It also features a sleek design and the elongated bowl provides more comfort to users. The toilet has chrome trip lever on top of the tank for easy access of a partial or flush. The American Standard H2Option siphonic dual flush toilet is a water efficient toilet as it uses 1.0GPF or 1.6GPF for liquids and solids, respectively. The H2Option has a powerful siphonic action system clears the waste in the bowl easily and in one flush. It has a MaP rating of 1, 000 grams of solid waste in a single heavy flush. In addition, it has an EverClean surface that prevents the growth of mold, mildew, and bacteria, as a result keeping the toilet cleaner for longer. With a 5-year warranty, this is a nice toilet for your contemporary washroom and you have three colors to choose from. Many users have reported that the waste sticks to the toilet at times forcing the user to flush more than once. 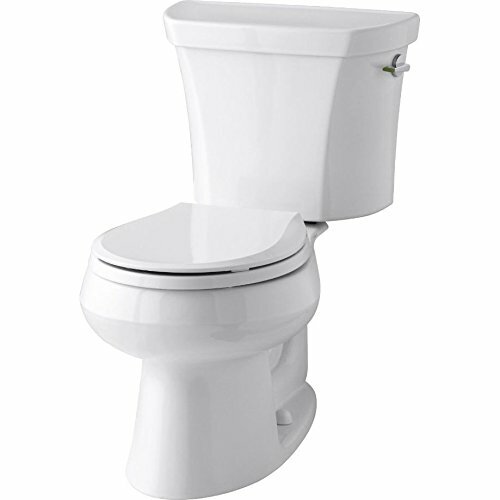 The Kohler Highline two-piece dual flush toilet is another high-performing unit from Kohler. It features a two-piece design perfectly constructed to last long. This toilet looks elegant and can easily match in any modern bathroom. It comes with a class five flush technology, which clears waste and liquids easily without leaving behind any dirty spots on the bowl. You have the option of choosing either the 1.1 GPF for liquids or the 1.6 GPF for solids. This allows you to save water and get a lower water bill. It is the best dual flush toilet for the money. Whether you’re tall or short, using this toilet will be fun as it has a comfortable bowl height of 17-inches. This means sitting down or standing up isn’t a problem at all for a good number of adults. The Kohler Highline is also easy to install as it comes with two separate pieces, which are the tank and bowl with a 12-inch rough-in. So, you won’t need the services of a plumber unless you don’t want to install it by yourself. Moreover, when you purchase this product, the manufacturer provides you with a one-year limited warranty. Add this toilet to your bathroom and it will change the way your bathroom looks. Swiss Madison Concorde square dual flush toilet offers luxury and exceptional performance. Its square design is unique and will add vigor to any bathroom that it is installed. The toilet also comes with a concealed trapway with a beautiful skirted design that makes cleaning outside the toilet to be easy. So, no more thorough scrubbing of the toilet in order to remove hidden dirt in the crannies and nooks. 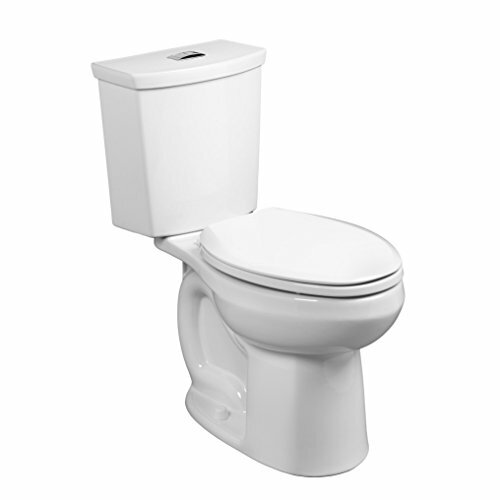 Using this toilet also saves a lot of water as it allows for a partial or full flush. A partial flush for clearing liquids uses 0.8 GPF, while a full flush for clearing solids uses 1.28 GPF. It is skirted design the best dual flush toilet. This toilet is also very comfortable to sit on or stand up as it features a square elongated bowl design that offers more sitting area. If that is not enough, it also comes with a soft closing seat that eliminates slamming of the toilet seat after use. If you want luxury and elegance in your bathroom, then this is the toilet for you. 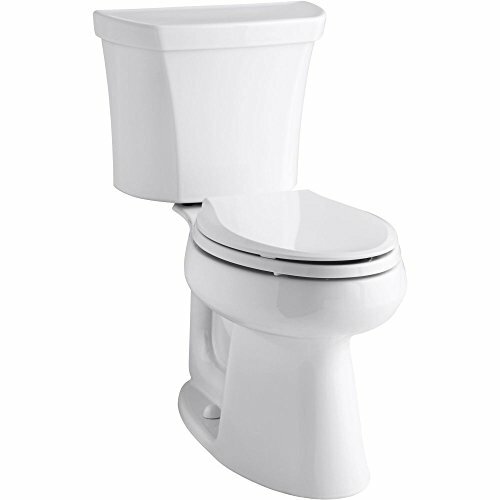 The American Standard right height toilet is well-built to easily fit in any modern bathroom. It is made of vitreous china material and has chrome plated top mounted push button actuator for a partial or full flush. For a partial flush, the toilet uses only 0.92 GPF, while for a full flush, the toilet uses 1.28 GPF. 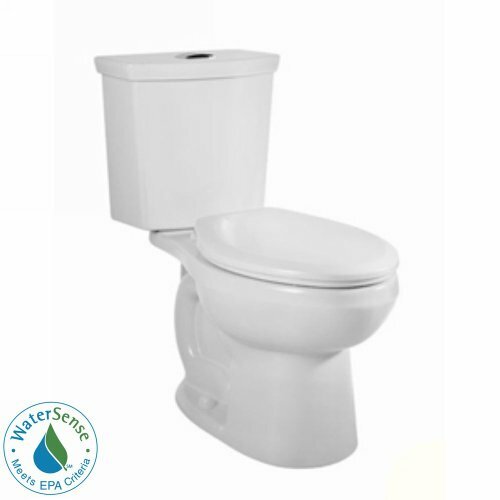 This is a low consumption toilet and that’s why it is WaterSense certified. In some states, you may get rebates when you install or replace this toilet with an old model. It is also comfortable as it has an elongated bowl design and the right height for easy sitting or standing by different people. With its siphon jet bowl technology with PowerWash rim and the Everclean surface, this toilet not only clears waste easily but also keeps the bowl cleaner for longer. A few toilets on the market can be compared to this highly advanced and eco-friendly toilet. 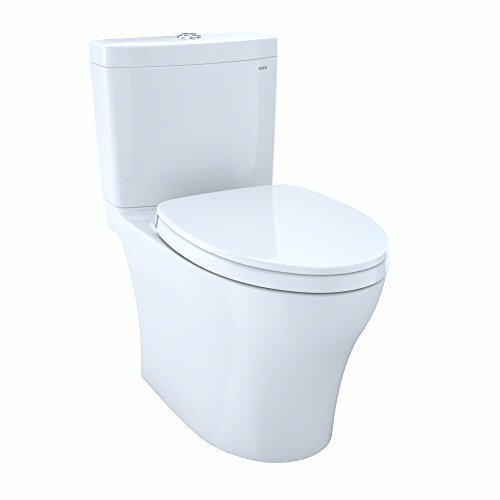 The Toto Neorest is one of the most comfortable and advanced toilets that you will find on the market. It is sturdily built with an elongated bowl design for added comfort. It has no tank as it is connected directly. The toilet comes with a dual flush system of 0.8 GPF and 1.0 GPF. 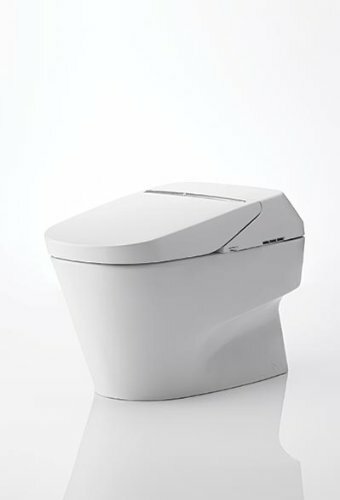 With the cyclone flushing mechanism, this toilet can clear waste in just a single flush. It also has a SanaGloss finish, which keeps the toilet cleaner for longer. 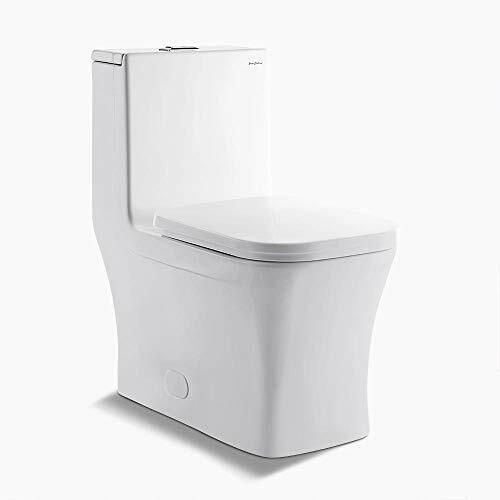 The Toto Neorest dual flush toilet is a one-piece toilet that can be controlled with a remote. The remote allows the user to change heat settings or the temperature of the toilet seat. It as well as comes with the ewater+ technology that keeps the bowl cleaner for longer. The elongated bowl design offers more comfort during use and it has a slow close seat. If you’re ready to spend and want a luxurious toilet to add in your bathroom, this is it. Horow HWMT-8733 one-piece elongated dual flush toilet is a compact and luxurious toilet design suitable for small bathrooms. 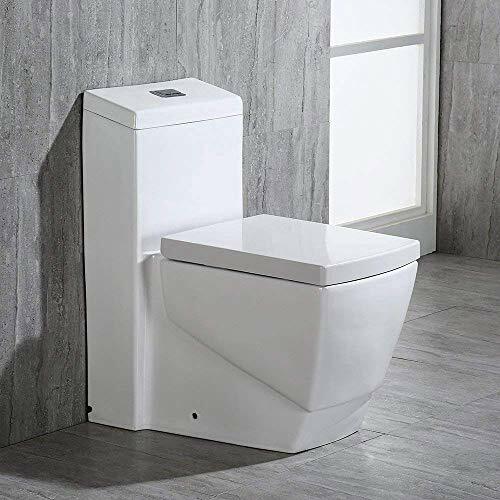 Despite being compact in design, this toilet can still be installed in any modern bathroom and it will instantly change the look of that bathroom. It is easy to install as it is floor mounted and comes with bolt covers. The skirted design makes cleaning the toilet to be easy and the dual flush mechanism ensures that a lot of water is saved instead of being wasted. The powerful siphon flushing system is very efficient but quiet in operation. A toilet seat is also included which doesn’t slam as it closes softly when you are done. Additionally, it has a glazed surface which is self-cleaning and makes maintenance to be simple. This toilet is also a comfort to sit on or stand up s it has a bowl height of 16.5-inches. Installing this toilet will offer comfort and save water. Kohler Veil intelligent toilet is one of the most advanced Kohler toilets on the market. This toilet is tankless but still clears waste very outstandingly. The toilet is sturdily made of vitreous china material with an elongated bowl design for extra comfort during use. The one-piece toilet has a dual flush system that uses 0.8 GPF for a partial flush and 1.28GPF for a full flush. It ends up saving a lot of water. Additionally, the Kohler Veil is sleekly constructed with a skirted design for easy cleaning and it won’t occupy a lot of space in your bathroom. With the touchscreen LCD remote, you will be capable of operating it hands-free and adjust temperature settings as you like. Also, it has LED night lighting which illuminates and help the user identify where the bowl is at night in the dark. If you want a budget but best dual flush toilet, then Kohler Veil perfect for you. The only thing that I don’t like about this toilet is its one year warranty. Since it is quite expensive, the manufacturer should provide a better warranty this. But overall, this is a wonderful toilet to install in your contemporary bathroom. After looking at some of the best dual flushing toilets on the market, you can now go ahead and select a toilet that meets your needs and budget. Dual flush toilets are usually costlier than traditional flush toilets but they help you save water and are easier to maintain. Choose the best dual flush toilet that fits perfectly in your bathroom and it is possible, it should blend with your bathroom decor. Apart from looking at aesthetics when selecting a dual flush toilet, you should also consider size, style, bowl design, flushing system, and any other added feature. Note that the more advanced a toilet is the more expensive it will be. For instance, in this review, you cannot compare the Toto Neorest and American Standard H2Option, as the former is more advanced with amazing features. Overall, these are amazing toilets that will help you save water and lower your water bill at the same time. Just find the best dual flush toilet for your bathroom. Question: What is a dual flush toilet? Answer: A dual flush toilet is a variation of the flush toilet that utilizes two buttons or a handle system in order to flush two different amounts of water. If you want to reduce the amount of water your toilet uses, this is the best toilet type for you. This toilet is convenient in that it has a partial flush for liquids and a solid flush for solids. So, if you’re a person who frequent the toilet for short calls, then you will end up saving half of the water you could have used in a conventional flushing toilet. Question: How is a dual flush toilet beneficial over other types of toilets? Answer: The dual flush toilet is different from other types of toilets because it lowers the water bill, thus saving some cash, saves water, which is good for the environment, and also it requires little maintenance. Question: How long should my toilet parts last? Answer: It all depends on some factors and the quality of the parts. The replaceable parts such as the flappers and seals usually last for about 4 or 5 years. But if you utilize a chemical bowl cleaner, then some flappers won’t even last for a year. So, depending on the material that a flapper is made of, some will deteriorate, while others will tend to stiffen up and lose their real shape and flexibility. Also, factors like the quality of water determine if the parts will last longer or not. In case your water source is heavily chlorinated, then most of the toilet parts that come into contact with water won’t last long. Additionally, if there is grit, sand, or a lower PH, then most parts won’t last long as desired. Question: Which toilet brands should I consider buying from? Answer: Since there are so many dual flush toilet brands on the market, it is very important that you buy from a reliable and re-known toilet brand. Ensure that you go through reviews to weigh which toilet is best suited for your needs or if it has issues. Some of the best brands to consider buying from are Toto, Kohler, American Standard, WoodBridge, and Swiss Madison, to name but a few. Still, have a question after reading this best dual flush toilet reviews? Comment below.